Like many people, you may resolve to lead a healthier lifestyle each New Year. Have you considered enhancing your dental health as a goal? Good dental health habits not only promote healthy teeth and a beautiful smile, but contribute to your overall health as well. Resolutions encourage you to go beyond what you’ve been doing so far and challenge yourself in ways you never thought you could.While you may have your own resolutions you want to achieve, why not try adding some New Year resolutions for your teeth into the mix? Healthier teeth can lead to a brighter smile and more smiling puts you and the people around you in a happier mood. 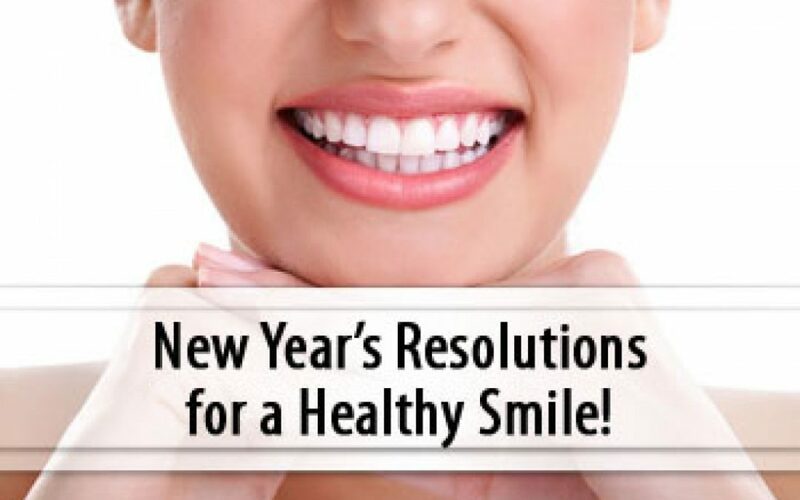 All of us at dental clinic Dr Donan, in Fresno CA encourage you to pick a New Year’s resolution that benefits your teeth and leads to a healthier smile. Below are 5 resolutions that are great for your teeth and can improve your oral health. Try picking one and practicing it in 2017—let us know how it goes! A healthy diet is important for maintaining good dental health. Nutrients in fruits, vegetables, dairy products and whole grains strengthen teeth and fight bacteria that cause gum disease. Make a point this year to incorporate more tooth-healthy foods in your daily diet. Sugary snacks and beverages are your teeth’s worst enemy. When sugars are broken down in your mouth, they produce acids that wear away your enamel and cause tooth decay. Make it a goal this year to limit your intake of sweets, for your health and your teeth! If you currently use tobacco, consider quitting this year. Instead, try out a healthier habit, like chewing sugar free gum, which stimulates the flow of saliva that washes away bacteria. Brushing and flossing your teeth are the first line of defense against oral health complications. If you don’t brush and floss as recommended, plaque can develop on and between teeth causing decay and gum disease, which can in turn lead to other health problems like heart disease. Dr Donan, dentist in Fresno CA, recommends brushing twice and flossing once each day. If your dental hygiene habits are lacking, step up your game in 2017 by brushing and flossing regularly. Dr Donan, dentist in Fresno, CA, knows best when it comes to keeping your mouth healthy. Scheduling regular checkups allows your dentist to monitor your dental health and address any concerns before they become bigger problems. Visiting your dentist every six months is the best way to ensure a clean bill of dental health, so this year, schedule regular appointments and keep your mouth in good shape. You owe a lot to those teeth and gums of yours. Do them a favor this New Year by practicing excellent dental health habits and smile big in 2017!